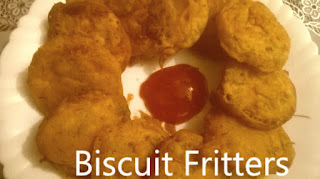 Biscuit FrittersBiscuit Fritters is a delicious Indian recipe served as a Snacks. It’s very simple recipe. Ready in just 10-15 min. I have already post biscuit sandwitch pakaure.